For the first time in a decade, William A. Noguera is releasing his artwork to the public and sharing insights into how and why he creates. Noguera drew widespread attention in the early 2000s for his black and white photo-realistic images using the technique of ink stippling. The stunning works depicted figures, shapes and angles, illustrating the boundaries and isolation Noguera experiences at San Quentin Prison. He retreated from the art world after he came to believe that the representatives he entrusted to safeguard and exhibit his artwork stole some of his works and sold others without his knowledge, keeping the proceeds. But he continued to create his art and to evolve, emerging with a redefined focus on conventional concepts of boundaries, restriction and resistance. Noguera lives on Death Row at San Quentin Prison and his work is represented exclusively by Elder Gallery of Contemporary Art in Charlotte, North Carolina, courtesy of the William A. Noguera Trust and Executive Director Melissa Ysais. For more on his work, writing and exhibition history, visit William A. Noguera’s artist page here. Join us for a conversation with the artist about breaking down conventional notions of space and how we define boundaries and borders – themes that are woven throughout Noguera’s paintings. The artist will participate by phone from San Quentin Prison, where he lives and makes his artwork. Executive Director of the William A. Noguera Trust, Melissa Ysais, will be present to share insights into the collection of works she maintains on behalf of the artist. 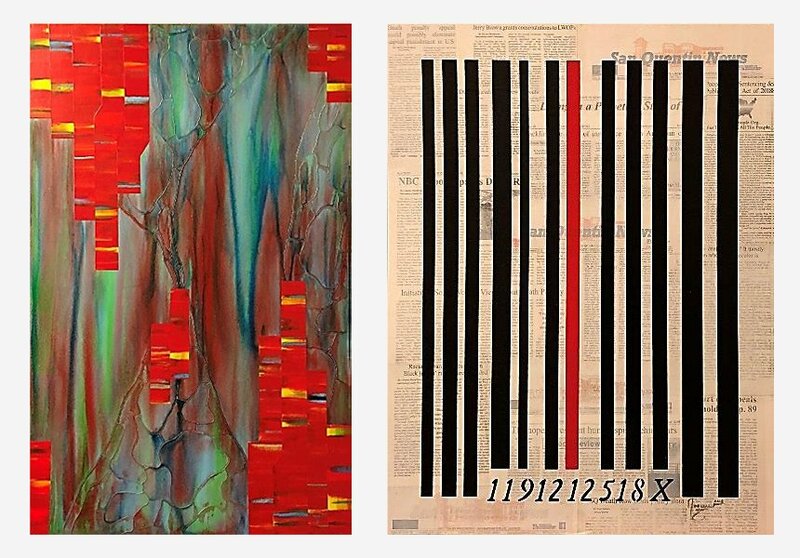 Noguera will share his own story, describe his journey as an artist in captivity and address the challenges of creating while incarcerated, and explain how he literally breaks down the walls that imprison him in the creation of his paintings. Submit questions for the artist in advance to Sonya@eldergalleryclt.com. Program begins promptly at 6:30 pm Limited seating.